NANO Antivirus is an effective and fast antivirus solution. It provides maximum protection of your computer against all types of malware. Such as cryptolockers, screen blockers, bank trojans, potentially unwanted programs, adware, spyware, etc. The product ensures the high performance, efficiency, simplicity, usability and high level of protection against all common types of threats. NANO Antivirus protects your system in real-time mode. Hence, each time when you try to access to any file with turned on real-time protection, system will automatically scan that file. The trusted area allows you to except some safe objects from testing for acceleration of scanning. Any suspicious and infected objects can be placed into quarantine folder for safe keeping and additional analysis. 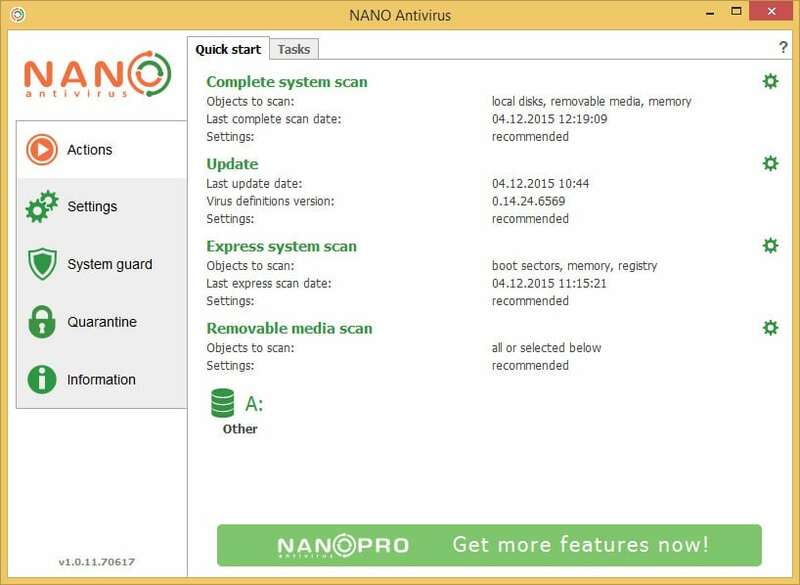 NANO Antivirus Sky Scan allows you to check files with cloud scanner. 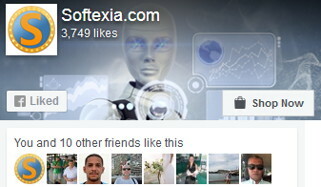 It is designed specifically for touchscreen devices. In addition, you can easily manage this Antivirus installed on your device, quickly receive information about the system protection status. Also it will allow you to read our latest news directly inside the application. Fixed an issue of not getting files into NANO Antivirus/NANO Antivirus Pro storage in some cases, which were reported by users. Improved scanning of JS files. So far only Microsoft antivirus can protect against ransomware. System Requirements (Recommendation) – CPU 2 GHz and higher. – RAM 1 Gb and higher (WinXP). – RAM 2 Gb and higher (Win7 & Win8). – OS : Windows 7 & Windows 8. – HDD Free Space 2 Gb on the system disk. 371MB, how does 1 explain this? Is it good to use or not?